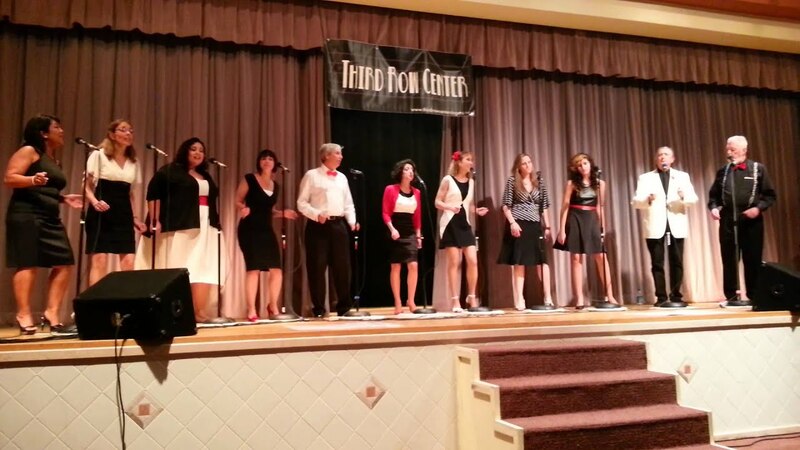 Palm Beach's Hometown A Cappella vocal ensemble, performing wedding, oldies, doo wop, and holiday music. Based in Royal Palm Beach, we have been performing beautiful and fun harmonies together for an average of 6 years, We perform all of our repertoire from memory, enhancing our entertainment value (like the "Sing Off" groups). We have an extensive client list and repertoire. Reliable and fun! Third Row Center Singers entertained at my mother's birthday party and they were just fantastic. Talented, professional and fun! They were very easy to plan with, prompt for the event and extremely entertaining. I would highly recommend this group. Our audiences enjoy a variety of performance types. We prepare spring, patriotic and holiday concerts, which are usually 1 1/2 hours long with a short intermission. We also perform at wedding ceremonies and cocktail hours, parties, funerals, charities, civic events (national anthem), even street corners, and Singing Telegrams. We love singing in harmony and it shows! We started singing as a group in 2008, and have been playing the Palm Beach area since then. We bring a unique A Cappella experience to the South Florida area, with popular songs sung in 4 to 8 part harmony. We have between 10 and 15 members on an ongoing basis. Our musical repertoire is extensive and we are always learning new and exciting music every season. We try to keep each performance new and crowd pleasing. 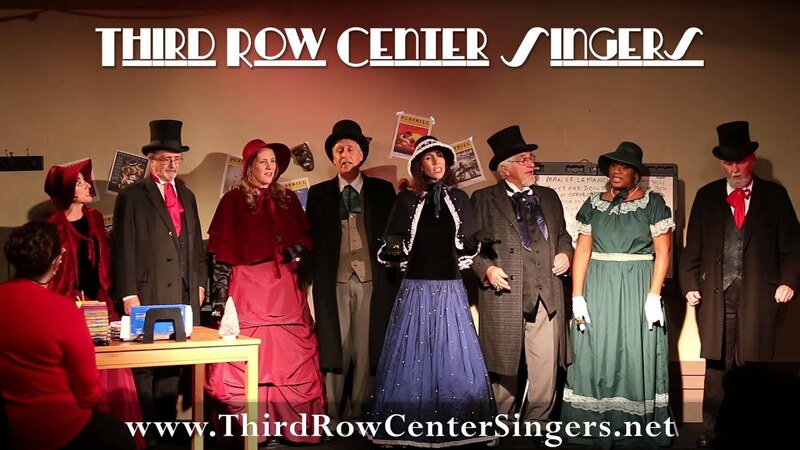 In winter, we perform in Dickens-style victorian costumes as we call ourselves the "Dickens Caroliers". We have our own sound system for larger venues. If you would like us to be the main event at your next event, as background music, as a unique side act, tableside caroling, at wedding ceremonies, we will satisfy your need. We have our own sound system for those venues that require one, as well as choral risers to help us fit comfortably on smaller stages or venues. 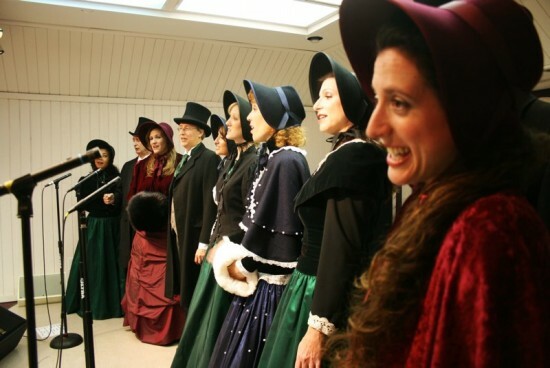 We are available to pose for photographs with your guests in our Victorian Caroler Costumes. The Lion Sleeps Tonight, Longest Time, Annie’s Song (You Fill Up My Senses), How Sweet It Is, Still Of The Night, May The Road Rise To Meet You, Star Spangled Banner, Joy to the World, God Bless America, Can't You Hear Those Freedom Bells, Why Do Fools Fall In Love?, Ain't Misbehavin', Til There Was You, If Ever I Would Leave You, Can You Feel The Love Tonight, Boogie Woogie Bugle Boy, Armed Forces Medley, Battle Hymn of the Republic, Stand By Me, Build Me Up Buttercup, Java Jive, Embraceable You, The Bridal March, The Way You Look Tonight, The Wedding Song (There Is Love), Unforgettable, When I Fall In Love, We've Only Just Begun, Crazy Lil' Thing Called Love, It Don't Mean A Thing, Fever, America The Beautiful, Goodnight Sweetheart, Sh Boom Sh Boom, Seasons of Love, Why Do Fools Fall In Love. We sing in the style of the popular "Sing Off" reality tv show. We sing all of our repertoire from memory to enhance our performace value.